Montreal airport Montréal-Pierre Elliott Trudeau International is one of Canada's busiest airports, servicing over 15 million passengers a year as of 2015 as well as handling direct flights to and fro 130 different Canadian, American and international destinations. 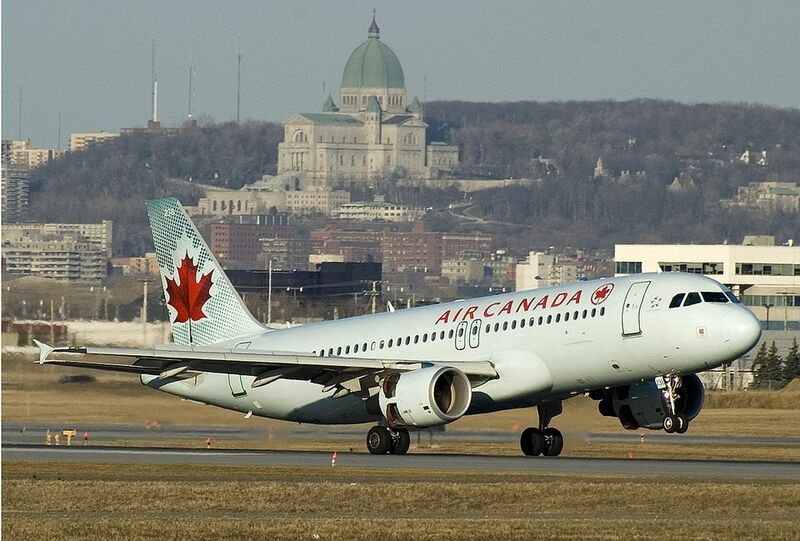 Over 30 airline carriers operate regular or seasonal flights out of Montréal-Pierre Elliott Trudeau. Montreal Airport Layout: Montréal-Pierre Elliott Trudeau International is composed of one single terminal, facilitating the boarding of connecting flights. The terminal is divided into four sections: public, domestic, international and transborder flights to the United States. The first floor is for passenger departure check-in and the ground floor is for arrivals and baggage claim. Passenger Facilities: In addition to a duty-free shop, a National Bank World Mastercard VIP lounge accessible to National Bank World or World Elite MasterCard cardholders and a Marriott luxury hotel directly linked to the airport located one escalator ride from the United States departures terminal, Montréal-Pierre Elliott Trudeau International Airport also offers passengers access to several bars, restaurants, cafés, a handful of boutiques (e.g., apparel, luggage, electronics, etc.) and a spa proposing massages, mani pedis and facial/body treatments. Internet Wi-Fi: free Wi-Fi is available throughout the airport. Connecting Flights: Baggage transfer and custom clearance protocol differ depending on originating flight and destination. Consult this page to properly prepare and avoid delays. Currency Exchange and Banking: Currency exchange counters and ATM machines are accessible at the airport. This profile is for information purposes only. Any opinions expressed in this profile are independent, i.e., free of public relations and promotional bias, and serve to direct readers as honestly and as helpfully as possible.TripSavvy experts are subject to a strict ethics and full disclosure policy, a cornerstone of the network's credibility. There are several transportation options to get to and from Montreal-Trudeau Airport, covering the gamut of budgets, be it city bus, taxi, limo, car rental, train or complimentary shuttle. More below. More than one bus passes through Montreal-Trudeau Airport, but the most convenient route by far is the 747 Express Bus. Fare is $10 and can either be bought at the airport or fare can be paid in exact change (no bills) in the bus itself. More details here on how to take the 747 Montreal-Trudeau Express bus. Montreal taxis are easy to find at the airport. Look for the central exit located in the arrivals section of the airport, on the ground floor. A dispatcher is standing by to assist. A standard fixed fee of $40 is set for trips from Montreal-Trudeau Airport to downtown Montreal. A minimum fare of $17 is imposed for other destinations from the airport. Note that fixed rates are subject to change without notice. Limousine services are readily available at Montreal-Trudeau without reservation. Look for the dispatcher at the central exit on the ground floor where the arrivals section is located. A standard fixed fee of $55 to $60 is set for trips from Montreal-Trudeau Airport to downtown Montreal. A minimum fare of $50 is imposed for other destinations from the airport. Note that fixed rates are subject to change without notice. Select Montreal hotels located near the airport offer free shuttle services. Travellers heading to Quebec City, Ottawa, Trois-Rivières and Mont Tremblant can book a bus ride for the next leg of their destination. Offered by Skyport from December through April. Offered by Orléans-Express. Several departures daily. Free Wi-Fi on board. Offered by Greyhound. Several departures daily. Several car rental companies have service counters on the arrivals' ground floor. Companies include Alamo, AVIS, Enterprise, Hertz, National and Thrifty. Montreal airport parking rates run the gamut from affordable to valet. The rule of thumb is the closer the parking spot, the more it costs. Short-term parking is set at a flat rate regardless of how close to a lot is to the terminal. Parking at the Montreal airport for 20 minutes at a time is $5. The rate is subject to change without notice. Meeters and greeters arriving by car to pick up passengers at the Montréal-Trudeau airport can park free of charge in the designated CellParc waiting lot BUT only if they remain in their car. Maximum wait time allowed is 60 minutes. Passengers can also be picked up in front of the terminal at the arrivals level or dropped off at the departures level BUT under no circumstances may drivers park in front of the terminal. If parking is required, then drivers must park in one of the paid parking lots. Terminal parking ranges from $20 to $35 a day. The more expensive spots are closer to terminal doors. Overall, terminal parking is a 3 to 6 minute walk to the terminal doors. Note that terminal parking clearance is 2.1 meters (6'10") and thus may not be suitable for all vehicles. Valet parking is available at $33 a day, available in close proximity to terminal doors without a reservation. EconoParc parking in sections P5, P6, P7, P8, and P9 ranges from $16 to $20 for 24 hours and is $69 for 7 days. EconoParc parking is either a 6 to 8 minute walk to the terminal doors or a 14- to 16-minute wait plus travel time to the terminal doors with a shuttle bus. AeroParc is the cheapest long-term parking of all, costing $13 for 24 hours or $65 for 7 days. AeroParc is 16-minute wait plus travel time to the terminal doors with a shuttle bus. Indoor parking is available with HotelParc costing $5 for 20 minutes or $24 for 24 hours. The HotelParc lot is in close proximity to terminal doors. *Parking rates, services and details herein are subject to change without notice. Always confirm details with Montreal-Trudeau Airport before heading out. Montreal airport Montréal-Pierre Elliott Trudeau International is in close proximity to several hotels with rooms at different price points. Many offer free shuttle bus services to and from the airport. The closest one of all is the Marriott Courtyard, which is directly linked to the airport, located one escalator ride away from the United States departures terminal. Note that hotels near the airport are more or less 20 km (12.4 miles) away from downtown Montreal, which is a roughly $50 dollar taxi ride to city centre in Canadian funds with tip. More on Montreal taxis.